There were smiles all around on the faces of exhibitors and visitors at this year’s flagship metalworking show, EMO Milano 2015. The halls were buzzing with visitors, from the second and third day of the show the halls were very busy and the lunch venues were packed. OneCNC Italia manager Devis Todesco noted that a very positive response from numerous trade fair visitors regarding the OneCNC range of CAD-CAM solutions. OneCNC Italia had staff on hand from Italy Germany and Australia to demonstrate the OneCNC functionality and features. The visitors were particularly impressed by its interface and layout. Likewise, its price/performance ratio was considered highly acceptable. 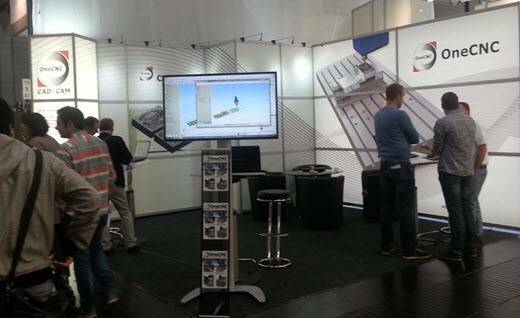 In addition, many fair visitors were impressed by the OneCNC technology concept of simplicity of use. OneCNC introduced and included at no extra cost dynamic machining in 2007 while most other vendors are just catching up now OneCNC has had more than 8 years experience and refinement with this dynamic technology. Unfortunately some CAM vendors portray this style of machining as just fast machining whereas OneCNC developed this style of machining to suit all types of CNC machines and you do not need a new machine to take advantage of OneCNC technology. Virtually any CNC machine can experience of improvements in speed efficiency and tool life. 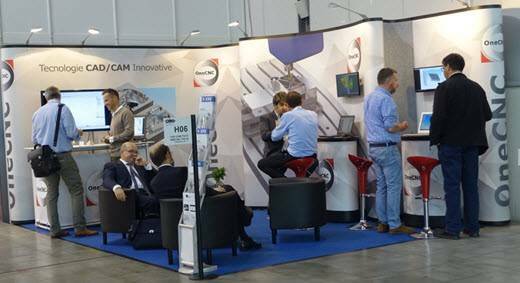 With more than 1,600 companies and 120,000 m² of net exhibition space distributed across 12 halls, EMO Milan 2015 was a bright reflection of a positive trend in European machine tool production. 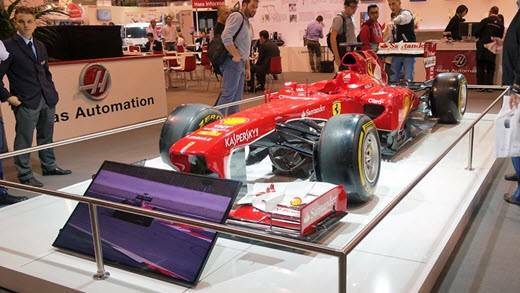 Haas Automation had an impressive stand and showed that Formula 1 is now firmly in their sights exhibiting a car on their stand at EMO 2015. OneCNC Italy was kept busy with new potential customers as well as existing customers looking to upgrade their OneCNC to the latest version. If you missed the opportunity for a OneCNC product demonstration to see the unique advantages you can contact OneCNC Italy for a personalized demonstration on-line or at your shop. 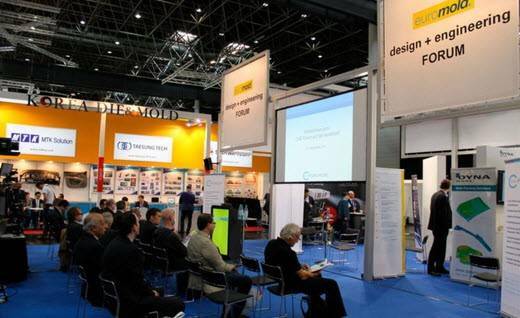 Euromold 2015 was in Düsseldorf for the first time at this new location. The message was clear; that 3D printing or additive manufacturing will remain a focus of the show which tries to reinvent itself, concentrating on future technologies and tool and mould makers who adopt additive manufacturing technologies. For Demat as promoters of this exhibition it was an ambitious show organiser to change cities from Frankfurt to Dussledorf however with 453 exhibitors for the first time at this location for the 22nd edition of Euromold has a way to go to get back to the previous amount of exhibitors. For OneCNC Deutschland the new location proved to be an overall success with many orders and new enquiries over each of the days..
OneCNC was busy demonstrating the complete range of solutions to prospective and existing customers and if you were unable to get a one on one demonstration please contact OneCNC Deutschland so this can be arranged online for you. After six years, EMO, the worldwide international exhibition of machine tools is back in Milan Italy. EMO is promoted by CECIMO, the European Association for Machine Tool Industries. The EMO show will take place from the 5th to the 10th of October 2015 in the prestigious exhibition centre of Fiera Milano. OneCNC Italy stand will be at PAV 2 H06 and will welcome the opportunity to demonstrate the complete range of available OneCNC solutions. OneCNC Italy will have application engineers from Italy Germany and Australia to demonstrate the advantages of OneCNC products.Present OneCNC users will be able to view the latest additions to the OneCNCXR6 versions and to discuss first hand features and use of the software from the experienced application engineers on hand.. There are at least 150,000 visitors from approximately 100 countries expected for EMO MILANO 2015 exhibition. The number could be even greater because of the concurrence with EXPO 2015 also in Milan at this time. More than 1,600 companies are expected at EMO MILANO 2015 covering a wide range of engineering. The leaders in the ranking of the companies registered are the Italians closely followed by the Germans then the Taiwanese are ranking third for, followed by Swiss and Chinese exhibitors.